There’s a slight frenzy in the air at the moment in Howard County, Maryland, as people are gearing up for the elections…..4 November is the big day! As well as attending pretend-politics VEEP fundraisers, I have also attended real American fundraisers, and, thankfully, the candidates I know and support are far more grounded and adept in their roles than the somewhat confuddled Selina Meyer. 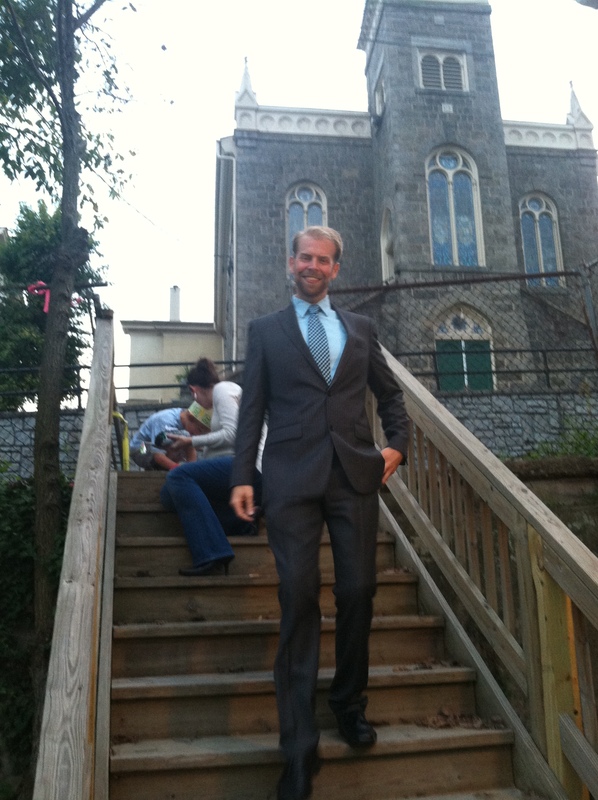 First off….Tom Coale, who’s running for District 9B in Ellicott City. He’s what I would call a ‘dude with a brain’. He gets the real stuff going on around him, he’s dedicated to his causes, understands his community, and is probably one of the sharpest tools in the Howard County box of politicos. We rallied together for Tom this week and I was rather caught off guard by his utterly inspiring and passionate words, because, although I know he talks from the heart, the way he delivered this speech was nothing short of a powerful Shakespearean monologue to the troops. These words will undoubtedly get him to his seat in Annapolis, and that means I’ll be hanging out and babysitting with his wife Nicole and their new baby (due any day now!) even more! 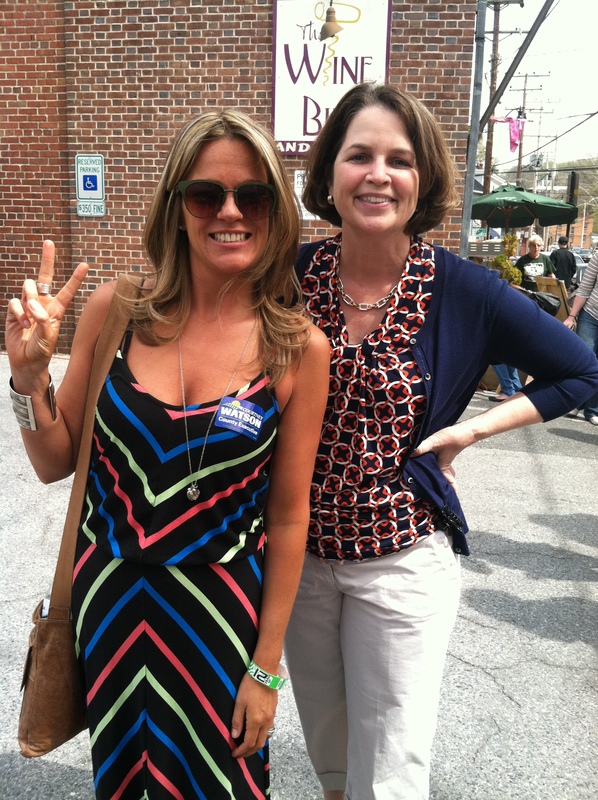 Secondly….Courtney Watson, who’s running for Howard County Executive. I admire Courtney tremendously because she is a working wife and mother of some [very handsome] young men, and has given her heart and soul to the community of Howard County. I think I will shed a tear when Courtney takes her seat because she stands for something that I believe in, not just for the County, but for women everywhere. You can achieve and you can make a difference. The #hocohomos and I are holding an event in support of Courtney this weekend and it will be a fine wine and fun affair, naturally! 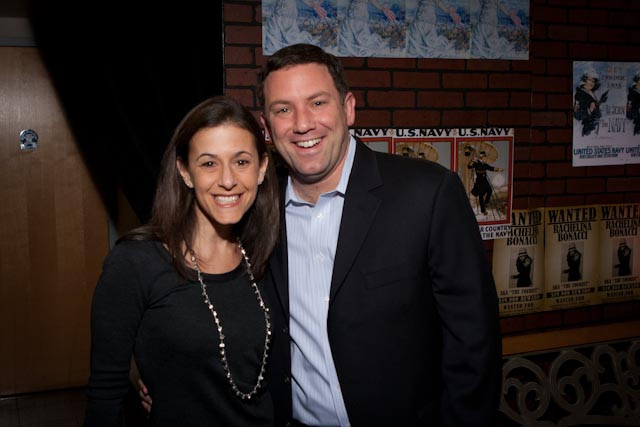 Thirdly……Ken Ulman, who’s running for Lieutenant Governor of Maryland, alongside Anthony Brown for Governor. I also totally dig Ken’s vibe. He is one of the people, doing it for the people. He is focused, grounded and determined, and I think we’ll see that Ulman name heading towards the White House before long. And his wife, Jaki, is perfect First Lady material. She’s a total babe! I’d better get an invite to the White House! How did that word ‘bangs’ appear in the American language my British friend and I mused the other day. The term bangs originally referred to a hair cut bang-off (straight across at the front). It is probably related to bang-tail, a term still used for the practice of cutting horses’ tails straight across. The term fringe (UK) refers to the resemblance of the short row of hair to ornamental fringe trim, such as that often found on shawls. This entry was posted in Travel and tagged #hocopolitics, America, American, American politics, Americans, Anthony Brown, bangs, British, Courtney Watson, District 9B Ellicott City, England, expat, fringe, Governor of Maryland, hocohomos, Howard County, Jaki Ulman, Ken Ulman, Lieutenant Governor of Maryland, maryland, political fundraisers, Politics, Selina Meyer, Shakespearean, Tom Coale, UK, USA, Veep. Bookmark the permalink.